Why should you buy a Mashesha Stove? Excellent for home use (from a family of 4 up to 10). Safe, stable and perfect for a family. Created for lodges and homeowners, it is an entertainer’s dream. With a clean flame and less smoke, it’s efficient and portable. The latest innovative offering from the Mashesha Stoves stable. It is multi-purpose and ideal for braai’s, for mass cooking or multi-pot cooking. Can heat 40 litres of water while you cook/braai. Comes with a stainless steel inner jacket for water heating. Suitable for cooking for up to 100 people. This the new Potjie Mashesha. It’s perfect for family use, easy to use and clean. 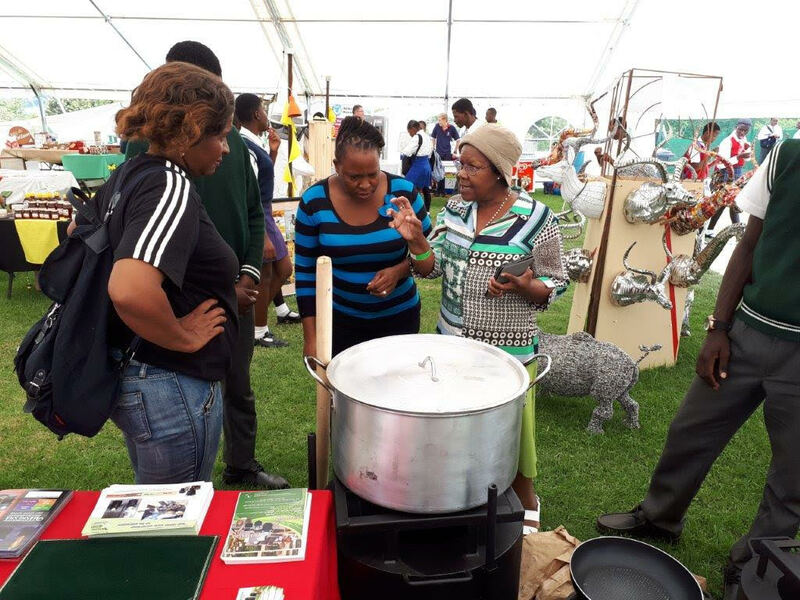 Our energy efficient cookstoves are large, portable durable, in design in safety and suitable for Africa style cooking where we typically cook for large numbers. The alternative may be conventional electric and gas stoves, yet the rural populations that the product mainly targets demonstrate that other ‘traditional’ cookstoves are the benchmark. Scholarly data from Sub-Saharan Africa suggest that while users value fuelwood economy, it is not necessarily price or distribution channels that affect choice. Overall stove preference depends upon a combination: economy, cooking time, stove size and ease of use. The Mashesha delivers effectively to all four. The stove sizes are contextually appropriate for food quantities generally prepared by Africans, and we make and sell a cheap reliable supplement fuel source for the stoves. Our lived experience data show that the stove outperforms conventional stoves. It is an innovative design. It solves a critical problem for cooks who do the mass communal cooking on a daily basis. The only company that makes large institutional stoves are in America and the stoves cost R13000 and are not versatile. Our price point is less than R 3 000 for the large stove that is versatile in all its applications. We also differentiate in that all other cookstoves (for household use) on the market are very small and often need a specialized fuel. Ours is large enough to cook for 10 people and uses wood or any biomass and is linked to an entrepreneurship ecosystem. We provide a stove that is contextually suitable, still uses wood/biomass fuel, but uses half the amount and is nearly smoke-free. Recorded user testimonies and the fact that we have won 6 Awards for Social Impact & Innovation validates that the product is needed and has value.